Lyn G. Farrell grew up in Littleborough where she would have gone to school if things had been different. She studied Psychology as an undergraduate and gained a Masters in ICT and Education at the University of Leeds. 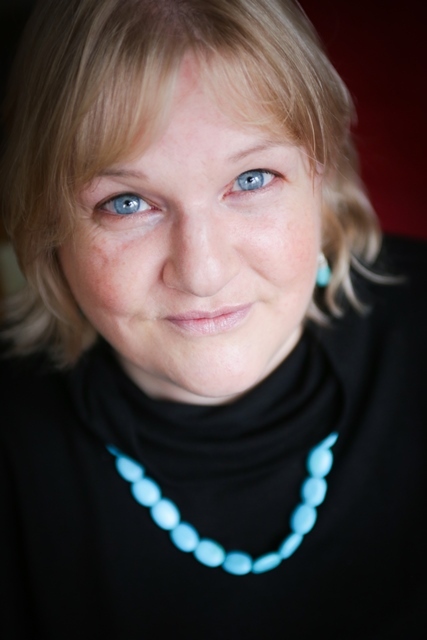 She currently works in the School of Education at Leeds Beckett University and is currently working on her second novel, a story about the healing power of unusual friendship. 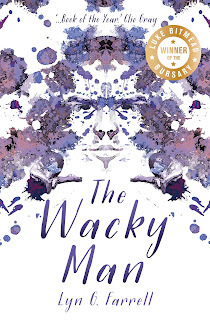 Lyn is the winner of the 2015 Luke Bitmead Burary and The Wacky Man is her debut novel. My journey was a very long one. I told nobody that I was writing a book, mainly because the process of writing was so difficult. I’d had the idea buzzing away in my mind since my thirties and my first notes and snippets of conversations or scenes date back to around 2004. I’ve lost count of both how many rewrites it went through in the first seven years and how many times I put it aside vowing never to return. When it finally starting taking shape I searched for a mentor and through sheer luck, found Clio Gray, author of The Anatomist’s Dream. She pointed out all the bits that needed work and taught me so much about structure and editing and also encouraged me to submit to agencies and competitions. When she forwarded me details of the Luke Bitmead Bursary Award, I was so impressed with what the Award was about, and on an impulse, sent in my novel. Publication was part of winning the award and so then I worked on further edits with Lauren from Legend Press for about six months. The novel was published in May of this year. I’m not sure I view it as a role but I am passionate about giving voices to those in danger of being silenced. I am drawn to writing about characters that are often marginalised or whose stories are difficult to deal with. My writing role is definitely part time. I have to squash in writing when I’m not too tired after the full time job. I usually write in the early morning or immediately after work. Fortunately, whenever I get started it reenergises me and I’ll find an hour or two has flown by and a little more of the story has revealed itself. The best aspect is definitely the new writing networks I’ve forged; readers and reviewers, other authors, festival organisers and goers and the great team at the publishers. It’s wonderful to know there are so many people that passionate about stories and creativity. It makes up for all the agonising over phrases and sentences and the necessary evil that is editing. 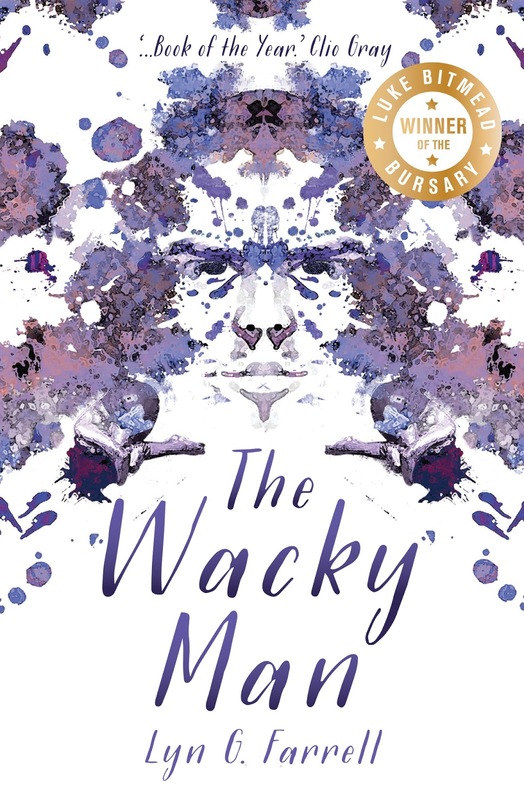 The character Seamus in The Wacky Man is a terrible, cruel man and I have little sympathy for the choices he makes as an adult but I empathise with his early life. He was diminished by lack of education and money. I have to be able to empathise with some part of the character, no matter how small, otherwise they would be cartoon like or flat. I always keep in mind that characters are human and have emotions – no matter how far from the surface or distorted they become. My debut novel was autobiographically inspired, so though my characters are definitely not ones you often find in mainstream literature, they’re not diverse in the sense of how I relate to them. I knew the main character very well. My second novel has two characters that I think are diverse, with experiences and backgrounds that are very different to me and, perhaps, to a lot of readers. So I’m researching extensively, and thinking about them a lot. It’s very exciting to have characters so independent of me, but a little bit nerve wracking at the same time. I love this question! And without hesitation I can say Tibet. Markam in Kham (east of the country) to be specific. The first reason is writing related. Tibet features in my next novel and though I have lots of Tibetan friends to consult, in an ideal world I’d be able to spend a few months there collecting first hand experiences. I’m also in dire need of improving my Tibetan language. With a full time job and writing on top, my language study has been neglected. The luxury of complete immersion in the language would be a dream come true. This changes depending on what I’m reading. At the moment it’s Peter Carey’s Illywhacker, which I’m reading again as it’s one of my favourite books. He is so inventive in style and structure but most of all, his imaginative powers are astounding. I can only hope to aspire to this level of novel one day in the far off future. Enthralling stuff. Never give up, no matter how frustrating it gets. The more you write and read (and the better the novels you read), the more you will progress. I also recommend creative writing classes. I wish I’d done some before starting my novel instead of pitching in and finding myself in a murky moat of words for so many years. On reflection I think I held myself back. I’ve taken two creative writing courses since finishing the novel, one free one with FutureLearn and Intermediate writing with the UEA. Both were brilliant and taught me a lot. The next novel is about the healing power of unusual friendship. Thought it deals with loss and sorrow and lives becoming derailed, it’s looking at it from the other side of those experiences, so where The Wacky Man was brutal and raw this is gentler and happier. One of the first books I can remember reading as a very young child was Mr Dizzy. I related to him in terms of being bullied and sad and I think his simple tale of overcoming hardship was very inspiring to me. I also read The Golden Goblet obsessively from age eleven to about thirteen. Ranofer, the main character, was exotic to me but he was also exactly like me, enduring physical abuse and loneliness. I felt like we were suffering together and he escaped which gave me hope. I still have the book and have read it a few times across the years. Peter Cunningham is from Waterford in the south east of Ireland. He is the author of the Monument series, widely acclaimed novels set in a fictional version of his home town. His novel, The Taoiseach was a controversial best seller. He is a member of Aosdána, the Irish academy of arts and letters. 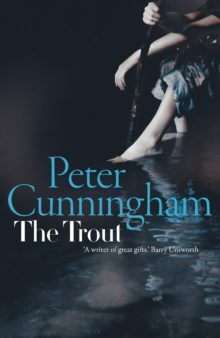 In a spellbinding story of one man’s search for the crucial secret locked in his memory since childhood, The Trout bursts up through the conventions and falsehoods of the past and hangs, beautiful and shimmering, in the clear and vital light of truth. Alex and his wife Kay live in Bayport, near Toronto, on the shore of Lake Muskoka. Alex is getting ready to publish his second novel when he receives a package from his publisher containing a curious insect: a fly for fishing. Alex and Kay had began their relationship many years ago in Ireland where Alex was destined to become a priest. His father, a well-respected doctor, is immensely proud of him until the day Alex meets Kay, a meeting which changes Alex’s life and his relationship with his father forever. Rejected by his father and his friends, Alex and Kay eventually settle in Canada to lead a normal family life. Normal life, however, is only a thin veneer covering a world of childhood secrets and lies and when the mysterious letter arrives it triggers a long-buried guilt in Alex, leading him to risk all to track down its secrets. When I was ten years old I began writing stories for the Christmas supplements of the local newspapers in Waterford. These were usually ghost stories that I had already tried out at bedtime on my sisters and they involved deserted mansions, creaking doors, and large, terrifying spiders. I remember how thrilling it was the first time I saw my name in print. I have always written, even when I worked at other jobs. As a teenager in Paris, where I washed dishes in a restaurant in Montmartre, I wrote fiction that was very self-consciously Joycean. In London, I painted barges on the Thames by day and wrote stories at night. When I got a job on the floor of the New York Stock Exchange – relaying telephone orders to floor traders – I was also writing a short story that would, several years later, go on to be published in the well-known New Irish Writing pages of the Irish Press. Nonetheless, I was almost forty before I attempted a novel. A thriller, called Noble Lord, it was begun on holiday, finished in six months and sold within three weeks to HarperCollins. Never has there been a moment when writing has not been central to my life. It is what I do, and I feel very fortunate to still be able to do it. I am a storyteller, which in Irish is seanachaí, an ancient and honourable occupation. Writing is my obsession, my addiction and my job. It is the only area of my life in which I am truly patient. W. H. Auden, when asked what he thought of something, answered, ‘How do I know what I think until I see what I write?’ That sums up my thought process. Every morning, usually early, I sit down and resume whatever I was writing the day before; and when that book is finished, I begin another. I’ve never thought much about my role, even though for years I have been chronicling many of the issues that have consumed modern Ireland. If I get my readers to see the world around them in a fresh, exciting and different way, then I will have achieved something. I love the cocoon that envelops me when I’m writing, and in which time stands still. The process of creativity is so beguiling and mysterious. I feel that writing offers me redemption. Some of my characters are very dark and devious – in The Trout, my new novel, several such characters are hiding in plain sight. Sometimes a character emerges and takes over the story. When this happens, it’s very stimulating: as the writer, I know I’m on to something. How does this happen? I’m not completely sure. I just know when I hear that character’s voice – even if he or she is a rogue – that the voice is authentic. My novel, The Taoiseach, based in part on the life and times of former Irish Prime Minister, Charlie Haughey, threw up a dark, central character whom I grew to admire and despise in equal measure. There are now plans to make The Taoiseach into a six-part mini-series for television. Writing diverse characters does not trouble me. Most of my novels are written in the first person, and in each case it can take me many months to get inside the head of my new protagonist. Nor does gender worry me, one way or another. My novel, The Sea and the Silence, is written in the first person, entirely from the point of view of a woman. I thoroughly enjoyed writing that novel and plan to repeat the experience before too long. Much of The Trout is told from the point of view of a seven year-old boy. That was difficult and took me nearly five years to write. I’m extremely lucky insofar as I often write overlooking the sea in County Waterford, which is one of the most beautiful places in the world. There are, admittedly, dark days in mid-winter when I dream of being in Sydney, where my maternal grandfather came from, but the truth is that entombed in the Irish winter I write best. In Search of Lost Time by Marcel Proust. An elderly French lady who I met many years ago in Normandy, told me that she was going home to Paris to read Proust again before she died. What greater accolade could a writer seek? Get into a routine. Don’t be afraid to let it all pour out. Forget rules. Be patient. Remember that all writing is rewriting. Read your work aloud – it’s amazing how infelicities emerge when spoken. When you are re-reading what you have written, beware of the passages you are tempted to skip. If you feel like skipping them, imagine how your readers will feel. Try and get your finished work into the hands of a professional – an agent, or editor, or someone who reviews books. My dear friend, the late Maeve Binchy, and her writer husband, Gordon Snell, wrote side by side every morning, and then handed over their work to each other for criticism. Maeve told me that this exercise was usually followed by a twenty minute period given over to sulking. A novel, The Secrets, which is scheduled for publication by Sandstone Press in late 2017. Hercule Poirot, followed closely by Sherlock Holmes. I devoured those books as a child – it’s no coincidence that Agatha Christie and Arthur Conan Doyle write very well. I had read everything both of them wrote before I went away to school.